Today Rivet Gallery in Columbus, OH is hosting a show featuring the work of students at the Columbus College of Art & Design. 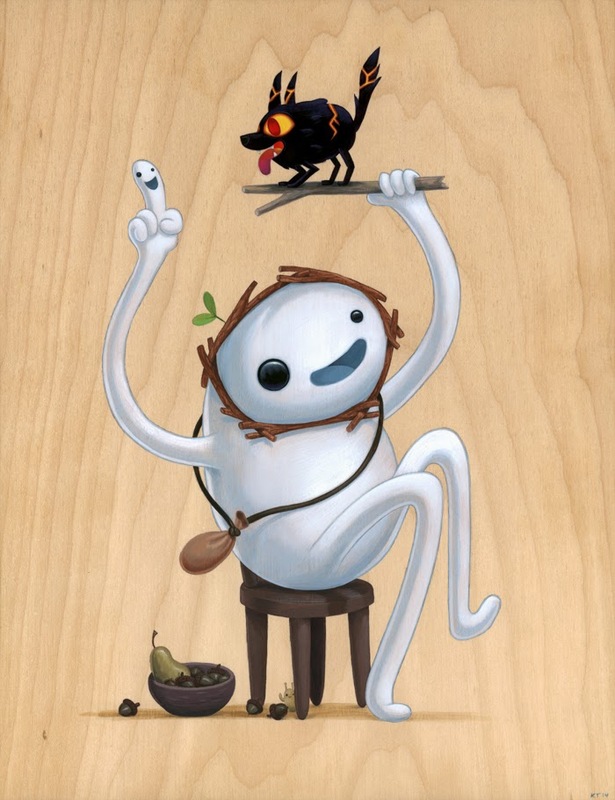 Rivet is proud to be the host of CCAD's 17th Annual Art Of Illustration Show. 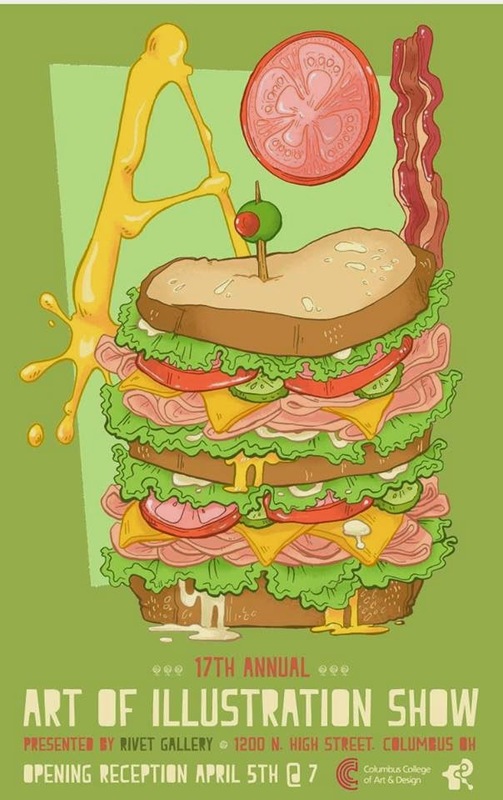 Columbus College of Art and Design annually host a school-wide art competition called the Art of Illustration. The AOI competition is held in January and juried thereafter by a panel of professional local illustrators. There is a student committee who organizes and manages this show. This year's exhibition of 45 chosen works will be on display at Rivet for the month of April with a reception and awards ceremony held on Saturday, April 5 beginning at 7pm. Awards and refreshments have been provided graciously by community businesses. Click here to view and buy the pieces from Gallery 1988's Adventure Time art show! The Winter Soldier has just been released with great reviews, some even saying the best Marcel film to date! There was no way that Hot Toys was not going to releasing the Stealth S.T.R.I.K.E. suit version, fans already was demanding this version long before it was announced, so I think many are happy that demands has been answered! So Hot Toys is going all out with this Marvel Superhero steam train, some say a little too much, as many lines left unfinished and talked about non Marvel releases has yet to materialise. The Stealth S.T.R.I.K.E. suit version is available on its own, if your not wanting civilian Steve Rogers! Most recent announcement from DamToys is this GK006 - The Gangsters Kingdom - Diamond 3 Juárez!!! Now I think you will know who the character is based on!! This by far is the meanest looking release of the line, think a lot has to do with the bloody weapons!! Almost all of the early releases have been sold out, besides the normal auction sites, you will be had pressed to find an early one at your local figure vendor. 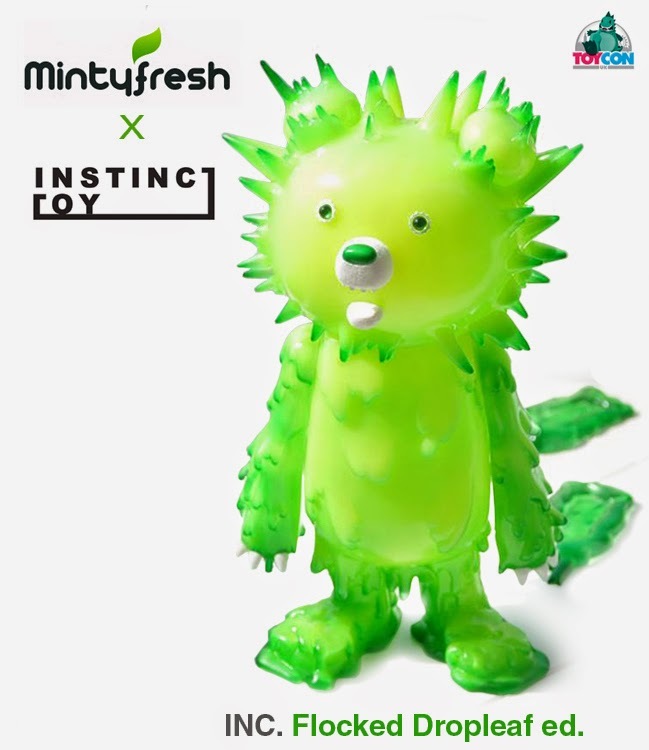 With this release, DamToys have made an additioal 100 chase/hidden versions that will be randomly placed in with the regular, so if you strike lucky, below is what you will get - Good Luck. Even as a stand alone piece this has got to be the one to have, so search out Juárez, before he finds you…….! 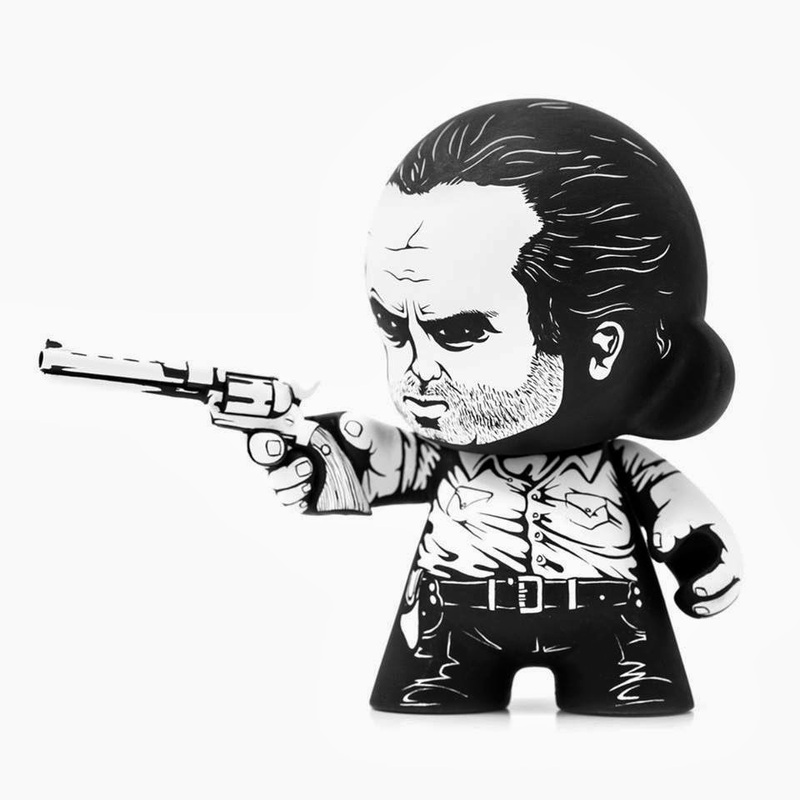 If you want to see the full range of the Gangsters Kingdom line, please click here DamToys will shoot you to the official DamToys page. Now we have seen this announcement, I have noticed in various social media that people want El Mariachi next!! The piece arrived at the gallery with a few pieces that had fallen off during shipping, which luckily they were able to repair before the show. 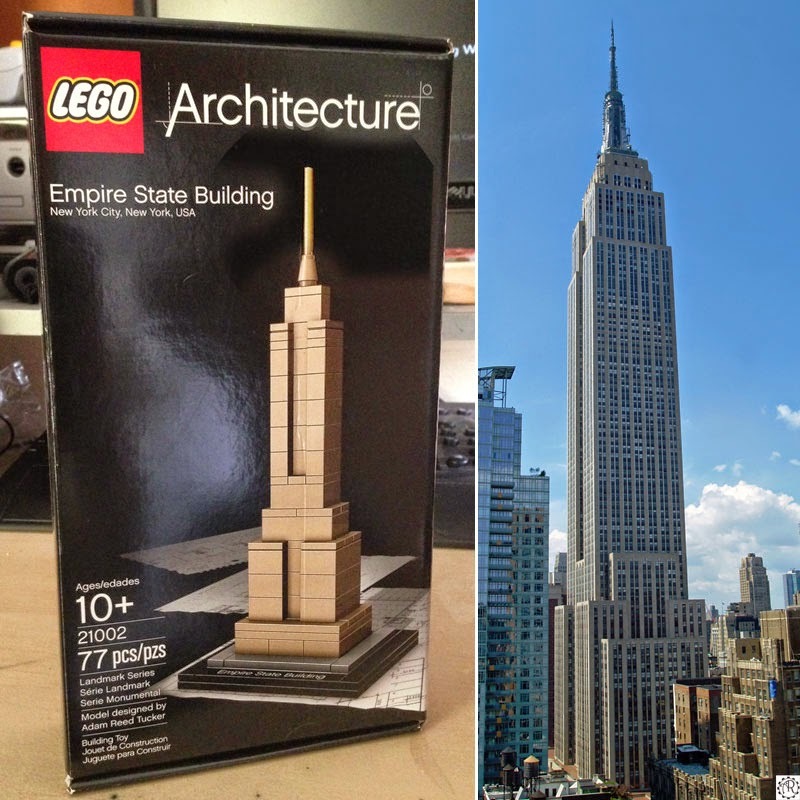 The piece sold online to a collector and when it arrived after being shipped again it was in pretty bad shape mainly due to the fact that the pieces simply weren’t reinforced correctly. That combined with the fact that there were a few of my own minor imperfections in the paint the piece was then sent back to me to repair, but by the time it arrived, the entire thing needed to be completed disassembled, repainted, and rebuilt in order to fully restore it. I really didn’t feel very inspired to recreate the same exact toy again (honestly I don’t know how many of the popular customizers out there do multiple versions of the same toy without going crazy) but luckily the collector was okay with me changing the color scheme and design. After a long while the new and improved version ended up being a lot cooler and more refined then the original. 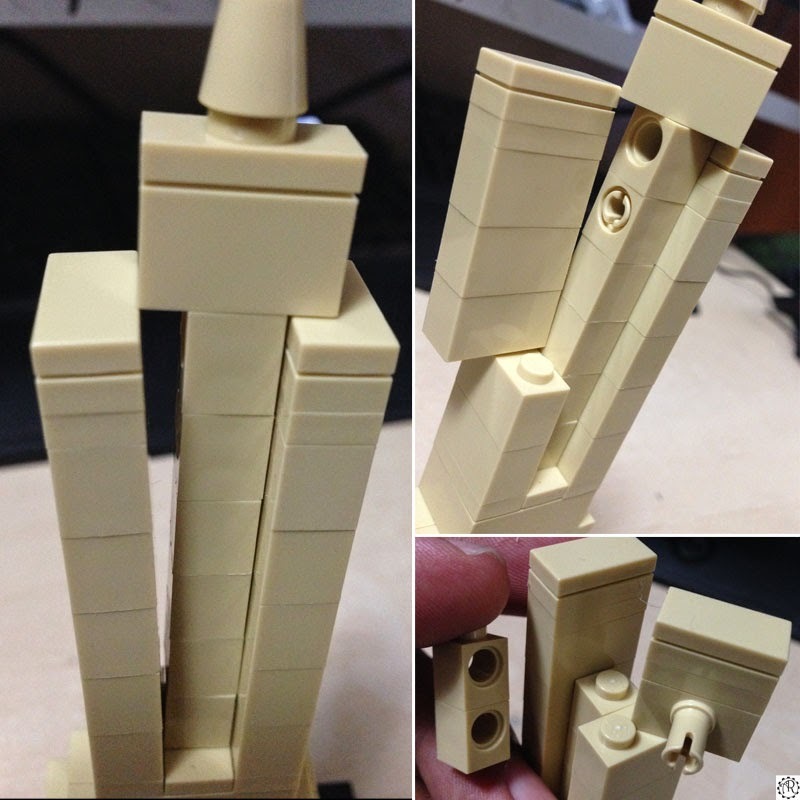 This incident forced me to start reinforcing nearly every piece on all of my following toys by drilling a hole in both the piece, and the toy, then placing a small metal bar to connect the two. This is a very time consuming process but it has proven to be absolutely necessary. 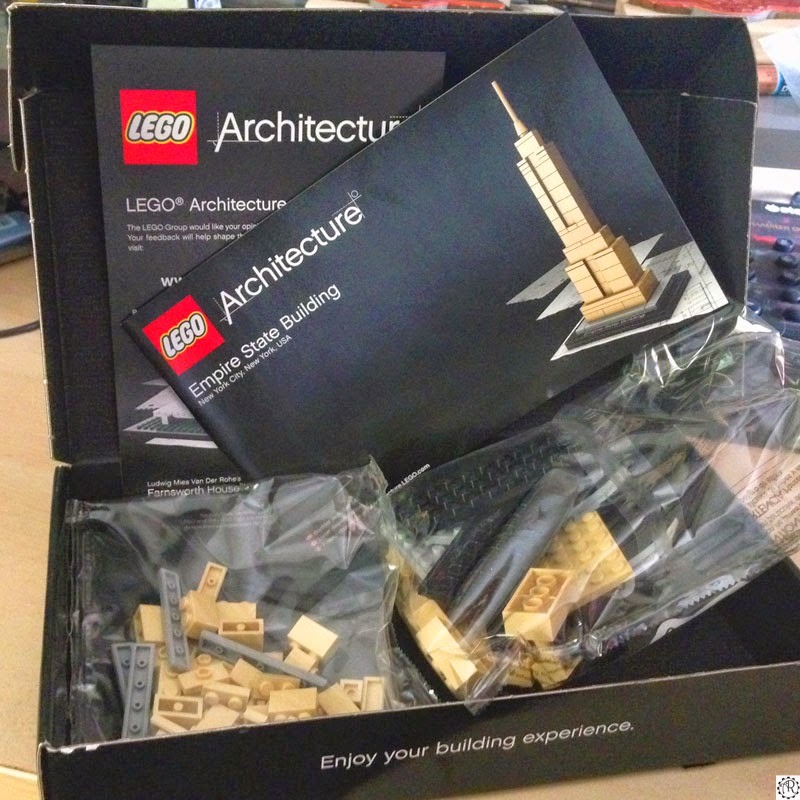 Also this forced me to step up my packaging process using double boxing and other methods to ensure a safe arrival. It actually turned out to be a great learning experience. Back the March of Robots Art Book Kickstarter by Dacosta! Dacosta! 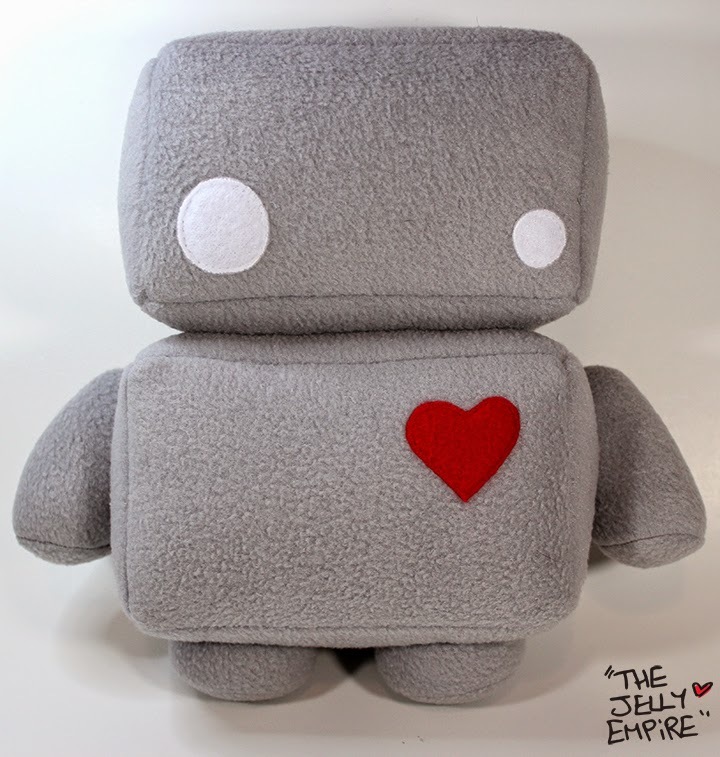 is an incredibly talented graphic artist with a strong interest in robots as a subject matter. 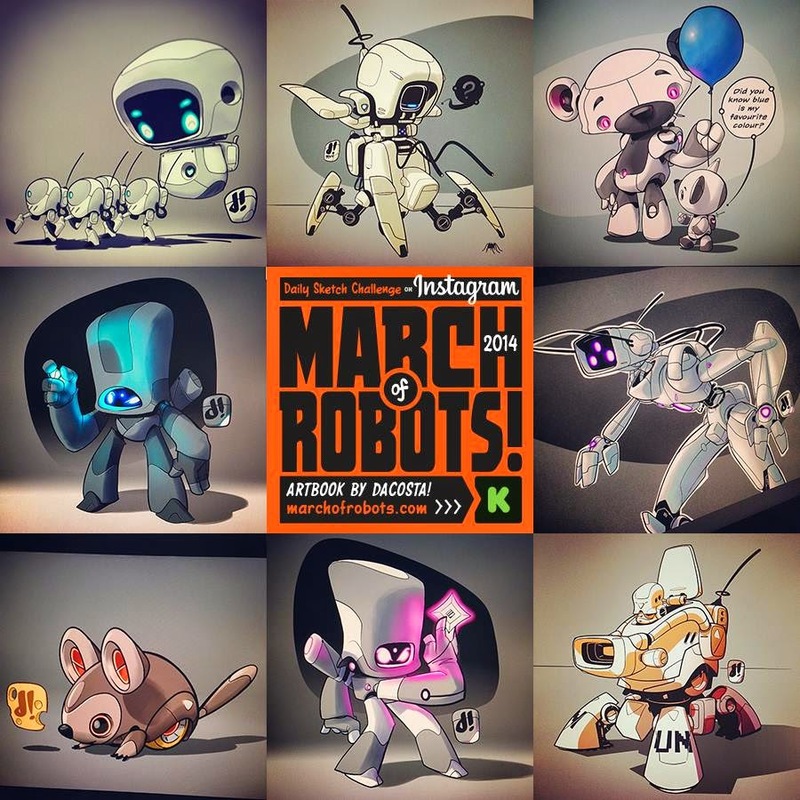 He has really inspired a bunch of our contemporary artists and illustrators to share their robot artwork, sketches and digital pieces online via his "March of Robots" social media campaign. 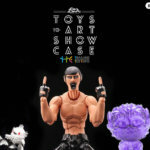 I know my friends Steve Talkowski and Klim Kozinevich have participated by sharing and tagging their own robot pieces. 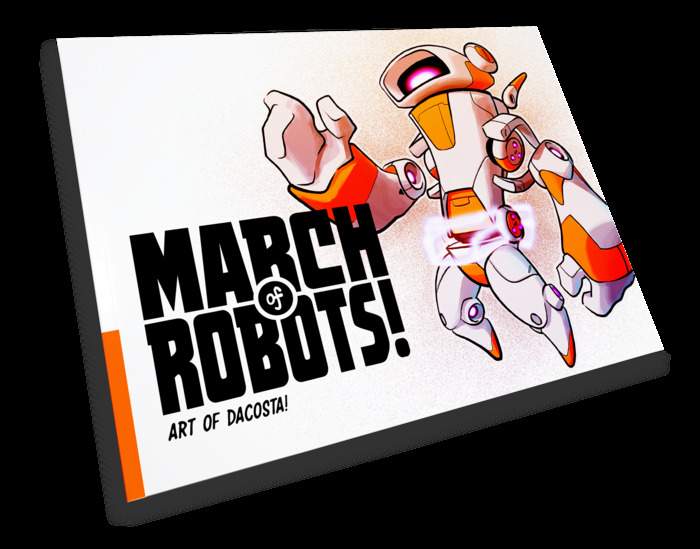 You can look at all the insanely cool artwork contributed to Dacosta's March of Robots campaign here. Dacosta is now taking his own robot artwork and compiling it into possibly the most exhilarating and colorful art book I've ever seen- all robots, all the time, front front cover to back! I have backed this project, the artwork is just TOO COOL to pass up. 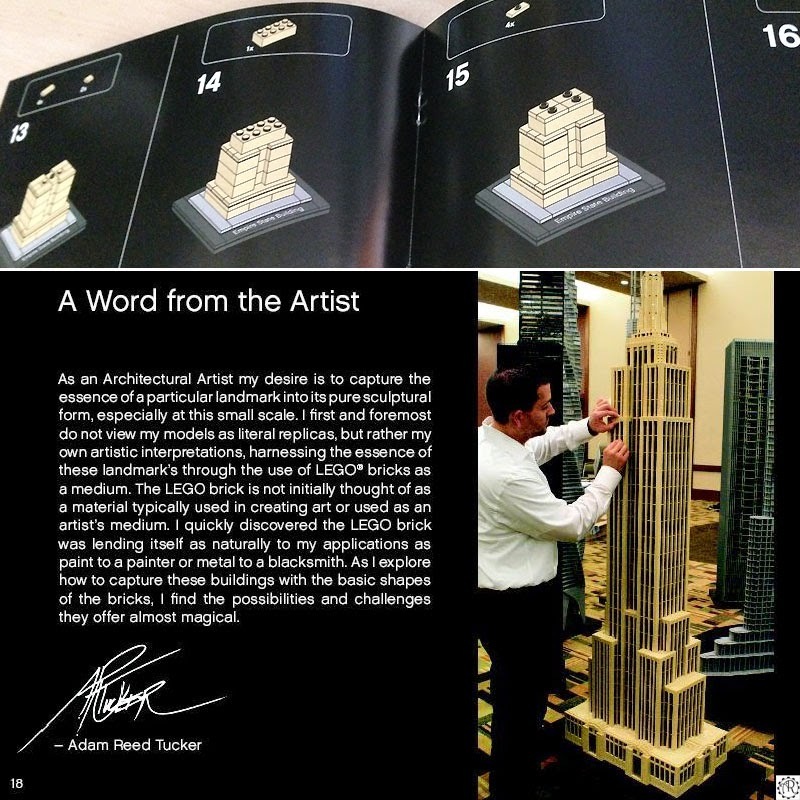 I want to introduce my kids to art and illustration via books like these. And I can say I know the artist who created it- talk about Cool Dad factor. The book is the main reward on this Kickstarter, of course, and you can preorder your signed copy for just $30. There are tons of other cool robot-related rewards as well. There's only 11 days to go, so make sure to act quickly to get Dacosta up to his funding goal! So close! Our friend Selina (The Jelly Empire) will be selling these awesome, OOAK resin Cosmic Jellybots at MoCCA Arts Fest in NYC on April 5 & 6, along with a few different Jellybot plushes! Meet the Jellybots that accidentally swallowed up stars and nebulas on their way to Earth! Now they are filled with little cosmic power ready to take over! 10 pieces in total. 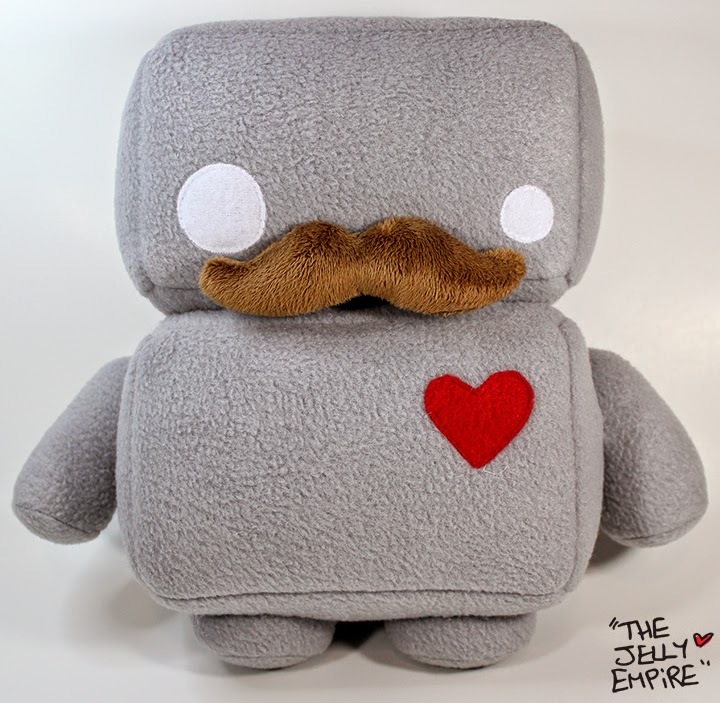 I will also have more plush for event and it also includes a special edition to go along with some regular ones. It's all about the moustache. If you're a fan of the Debris Japan figures by RESTORE, you gotta see this: TWO (2!!!) different exclusive Debris figures at the Mintyfresh booth at ToyConUK. Apparently, if these don't sell out at ToyConUK (yeah right!) you'll be able to take a crack at them via this lottery. Coffee & Fried Chicken (in addition to being a delicious gastronomic combo) is a new blog from Kun-I Chang and Shihwen Lin. 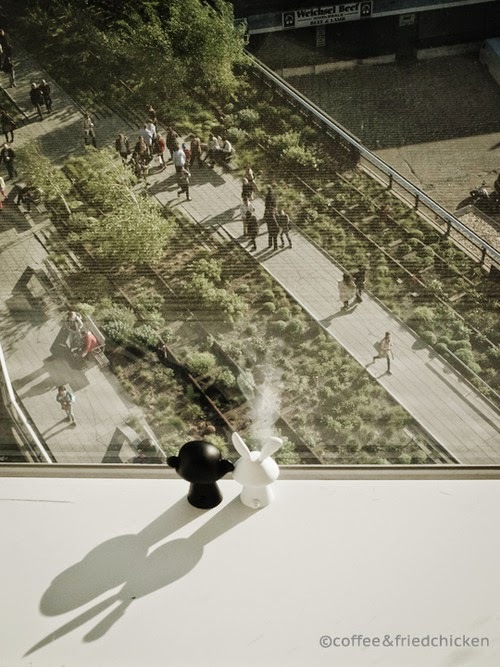 The New York-based duo's blog features the daily life and interactions of R, a white rabbit who lives on coffee and M, a black monkey who loves fried chicken (that's straight from the description, don't send your letters and postcards my way). I'll let the creators explain it. Coffee & Fried Chicken was born on April, 7th, 2012 When M and R exchanged their vows. M designed the monkey & rabbit characters as the body doubles for themselves, and together they share their story with friends and families through the two characters. Since both M and R are a bit camera shy, they decide to use monkey & rabbit to capture little moments in their lives. While the concept seems strange, the characters are cute, the photography is beautiful and the stories look fun to follow. 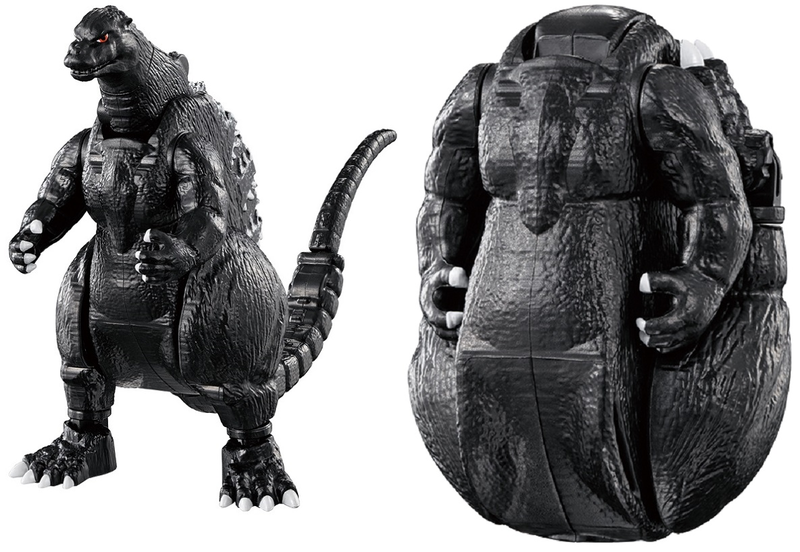 Sorry for the puns but these new transforming Godzilla eggs are AWESOME. 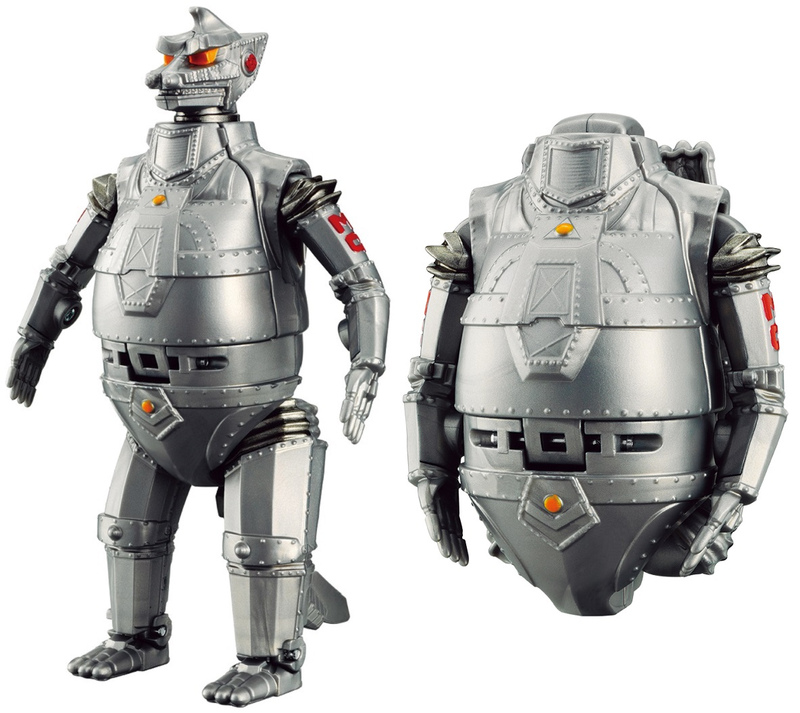 Bandai has only released 5 kaiju eggs since March, but we're already looking forward to more! The four toys are Godzilla (from the 1994 film), King Ghidorah (From 1965 film), Gigan (1972 film), Mecha Godzilla (1974) and Mothra (1992). They are all easy to transform and are made of a high-quality, durable plastic. 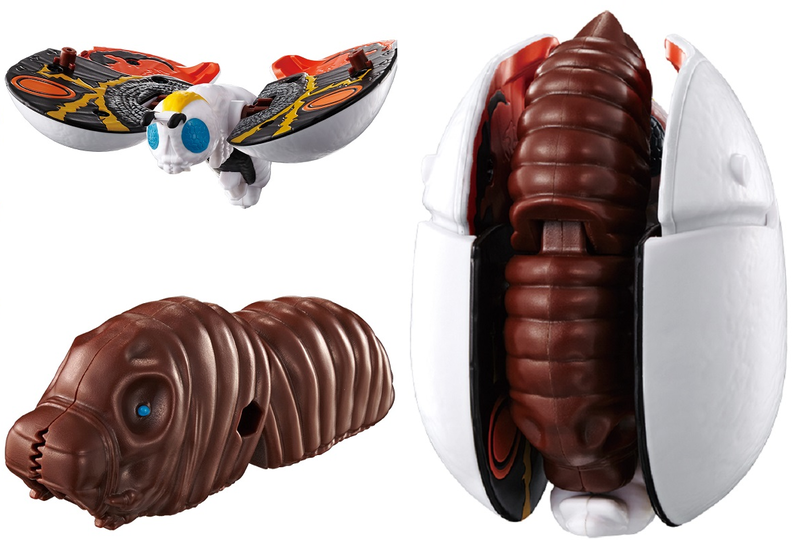 The Mothra comes with his alternate (larvae) form as a snap-on! 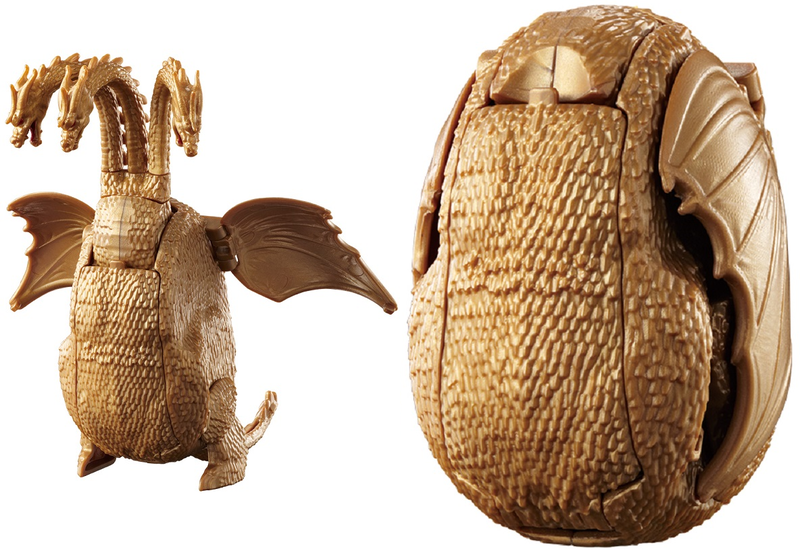 These eggs look like a lot of fun to play with and will make a great addition to your kaiju display shelves......we all have those, right? Komega shares with us this amazing fosl Mecha Dunny - "Soul Droid" . Soul Droid is ready for action, and has you in his sights. The ancient fosl skull is pretty awesome, but where's the Amazing? Yup, he lights up. And, there's an ultra-tiny skull in there- more than one of them, I hear. 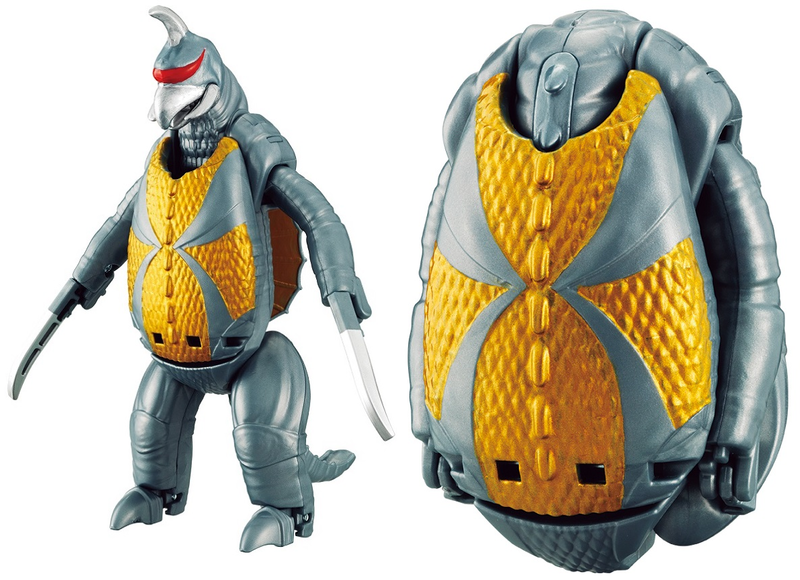 Komega's first figure is sold out, but 2 more are available here. Do I really need to add anything to what you can see in the pic!!! Today we want to share with you something BIG! Witness the rise of the Titans, as we will be making figures from first-person shooter multiplayer video game, called: Titanfall. In Titanfall, players compete on a war-torn planet, playingas mech-style Titans and their pilots. We will disclose more details about figures, which we are making as we get closer to showing the prototype (which will happen really soon), however we can already say that Titan on this teaser is about 20" tall and will come with the pilot. Yes 20 inches tall!!! its going to be huge!! without checking, think it maybe similar size to the threeA Real Steal figures released last year, if so, hope they look into the 'top heavy' aspect of the figure as the Real Steal robots are quite difficult to secure once posed. Anyway, I'm off to have a blast on the game, will update news as soon as anything pops up on threezero! In the space of a few weeks, Hot Toys Marvel steam train rolled in with 3 new preorders tied in with the worldwide release of Captain America The Winter Soldier. Liking the weathering on the suit! Fans will love this new version of Black widow!! I've watched the film and I thoroughly enjoyed it, fans will for sure get all three and the preorders will sell very well. Captain America: Golden Age version, Black Widow and The Winter Soldier are all available from your usual Hot Toys vendor, as for the others mentioned above, we shall see! Totally amazing custom, love the depth and the clean lines!